A MELLOTRON-INSPIRED SYNTHESIZER. The world’s smallest Mellotron! Jordan Rudess from Dream Theater shows the Mellotron on his iPhone. There is also an iPad version of this app called Ellatron HD. 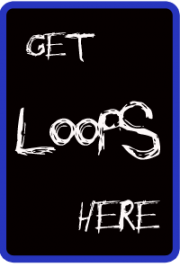 Developed by Phil from Omenie Software. 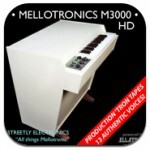 Streetly Electronics – manufacturers of the original Mk I, Mk II and M400 mellotrons – and Omenie, Home of the ELLATRON – have joined forces to bring you the MELLOTRONICS M3000 HD. The M3000 is an uncannily accurate, beautiful-sounding and immensely playable instrument, packed with 13 huge, authentic voices from the Mellotronics tape vault. These are the same production tapes that featured on Strawberry Fields Forever, Nights in White Satin, Watcher of the Skies, Odessey and Oracle, and hundreds more timeless classics. Visit the iTunes link below to check it out.